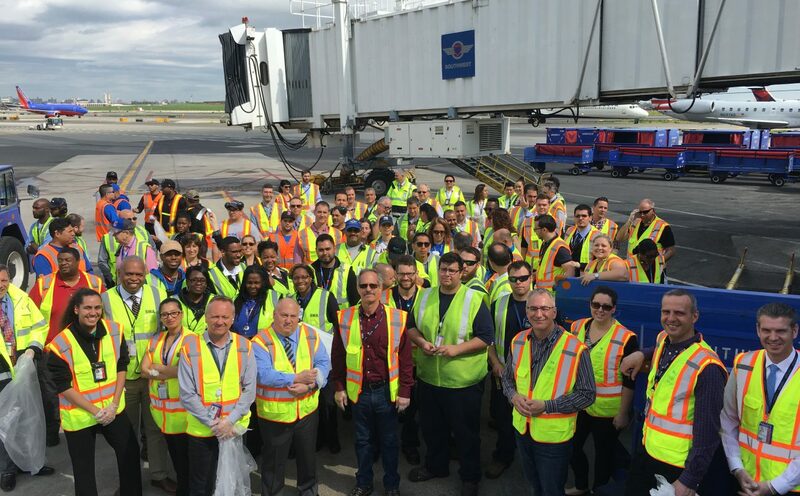 On June 1, 2016, Vantage, as part of LaGuardia Gateway Partners (LGP), transitioned operations of LaGuardia’s Central Terminal B from the Port Authority of New York and New Jersey, officially welcoming LGA Central to our global airport network. This operational transition marked the start of the $4 billion redevelopment project and 35-year lease agreement with the Port Authority, making it the largest transportation P3 in the United States. One year later, the changes at LGA Central are tangible and the new facilities are taking shape—evidence that we are delivering on the vision of a world-class terminal for a world-class city through our equity position and management services agreement with LGP, and our partnership with the Port Authority, airlines operating at the Central Terminal and other stakeholders. Vantage is proud to have formed and led the LGP consortium to financial close and lease commencement. Achieving this milestone followed three years of commitment by our team to develop a visionary design, operational approach and commercial plan for the new terminal. It also inaugurated Vantage’s management of the existing 54-year old terminal and project oversight of the redevelopment program, having invested capital in the project, generated over $2 billion from the bond market, and worked with airline stakeholders to ensure a successful transition and ongoing operations throughout the six-year phased delivery of the new terminal. Our concept for the new terminal, driven by our 23 years of experience in developing and operating airports, led to a bold and iconic design that brings together operational efficiencies, an improved passenger experience, well-planned commercial offerings, market-leading technology and a strong sense of place. Our concept also ensured accelerated construction schedules and phasing and financial deliverability. In just one year, Vantage has guided operational improvements that enhance the passenger experience inside the existing terminal while managing construction and demolition outside. Improvements include fixing leaky ceilings, adding light fixtures to dim corridors and making high-impact changes to bathroom fittings, among others. It also includes bolstering the LGP Operations team on the ground to ensure all airport stakeholders receive the support and direction necessary to keep nearly 15 million annual passengers and their bags moving smoothly. Construction in and around the terminal includes the complete demolition of the P2 Parking Garage (time lapse below) and the emergence of Concourse B from the ground, the first part of the terminal to open. The West Parking Garage is also nearing completion. This first year of redevelopment and operations has flown by, marked by milestones that have brought us closer to a new Central Terminal B, a terminal that will completely change what it means to travel through LaGuardia Airport. Pictured below: Time lapse footage captures the demolition of the P2 Parking Garage and erection of steel for the new terminal. Follow the journey to a new Central Terminal B!